Scentsy candle warmers take the worry out of candles and leave you with a wonderful smelling home! No more danger of fire and no more soot build-up in your home. Each Scentsy warmer uses a low-wattage light-bulb that plugs into the wall much the same way a lamp or night light does. The low heat from the bulb melts the Scentsy Bar in the bowl of the Scentsy warmer which then releases the scent. It is the same concept as a wick candle without the flame. The heat from the bulb is just warm enough to melt the soft Scentsy Bar wax so it will not burn your skin if you happen to touch it. 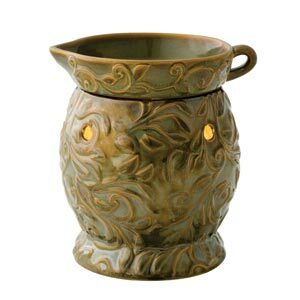 Authentic Scentsy candle warmers come in a variety of styles. There are Scentsy Warmer styles to match your Traditional style home, contemporary style home, country style, or a mix of all three! 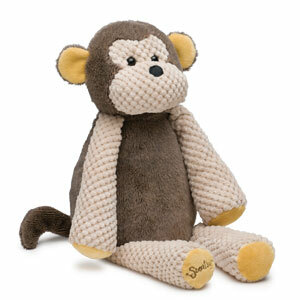 Scentsy also has original styled warmers for those who have specific decorating needs. 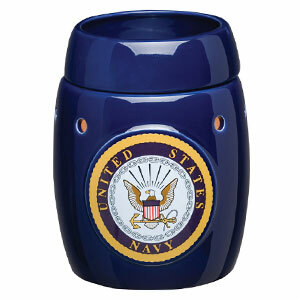 There are Patriot Scentsy Warmers, Collegiate Warmers, and Cause Warmers. Take some time to browse through the catalog to find the perfect Scentsy warmer for your home! The full-size Scentsy candle warmers are the largest warmers, standing about 6 inches tall. 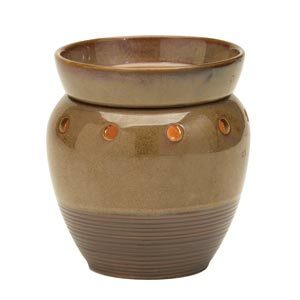 They are made for large rooms such as the kitchen or family room.The Mid-size Scentsy Warmers are slightly smaller and can also be used in large rooms, but are small enough to fit in bathrooms, laundry rooms, etc. 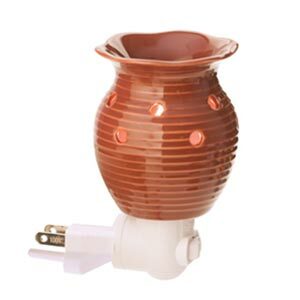 The Scentsy plug-in warmers are unique because they plug directly into the outlet, which makes them perfect for small rooms with no counter space such as bathrooms. The plug swivels so it will fit in a vertical or horizontal oriented plug. 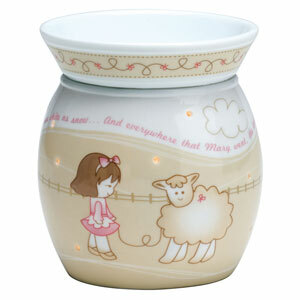 Whichever Scentsy candle warmer you choose, you will enjoy worry-free fragrance in your home. Scentsy has over 80 Scentsy scents to choose from availible in Scentsy Bars, Scenty Bricks, Room Sprays, Scent Circle and Travel Tins. If you like candles, you will love Scentsy!